My favorite day of the year? When Tioga Pass opens. Each year I look forward to when I can greet my mountain friends in Tioga Country in Yosemite. This year I had to attend an event in Los Angeles the day before the pass opened, so I drove back via 395 and overdosed on Eastern Sierra beauty. Overall a bully day! I would be hard pressed to name the top moment. Was it having the magnificent mountains in Bishop say good morning? A bee mistaking me for a flower as I sat by the Tuolumne River? Trapising up Gaylor Ridge and sinking through two feet of snow in shorts just to get a view of the Cathedral Range (my legs have the well earned scars)? The staff at Latte Da Cafe in Lee Vining welcoming me back after the long winter and saying they had a warm pumpkin spice coffee cake right out of the oven? The new pika t-shirt at the Mono Lake Committee bookstore? Or sitting on a snowbank above Gaylor Lake, listening to the wind, and just being? 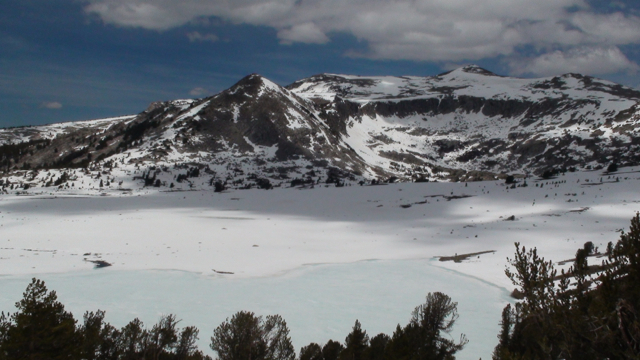 Some photos from my drive today showing Tuolumne and Tioga Country waking up from the winter. You can view the full set on my Facebook page.